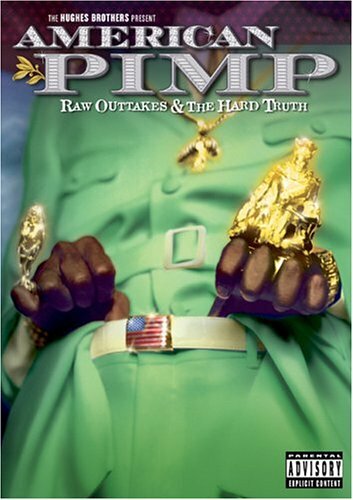 American Pimp (Raw Outtakes & The Hard Truth) - BUY THIS DVD! Experience more pimp-a-delic wisdom and thumpin� beats from the Hughes Bros. when Shout! Factory releases American Pimp DVD, Raw Outtakes And The Hard Truth in a two-disc, DVD/CD set. This perfect companion piece to the original American Pimp DVD, Raw Outtakes And The Hard Truth contains a new DVD featuring over 70 minutes of unreleased footage, such as an entire Snoop Dogg segment, that filmmakers Allen and Albert Hughes deemed too incendiary to include in the film. Raw Outtakes And The Hard Truth also includes the American Pimp soundtrack, available for the first time, with dialogue and music from, and inspired by, the original film. HOW TO WIN? SIMPLE. SEND IN YOUR NAME AND ADDRESS TO contests@efilmcritic.com. Put "AMERICAN PIMP 2: PIMP HARDER" in the subject line and cross your fingers. We will draw names and one of the DVDs will be yours. Only 1 entry per household.